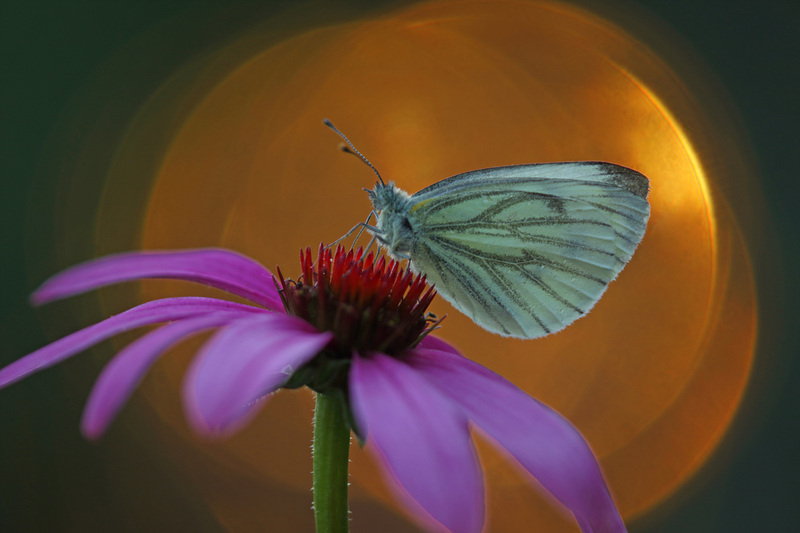 ​My passion for butterflies and photography started during a holiday to Austria in 1980. I had a very simple Agfa camera and chased after butterflies.....I still remember that I photographed a lot of Marbled Whites (Melanargia galathea). 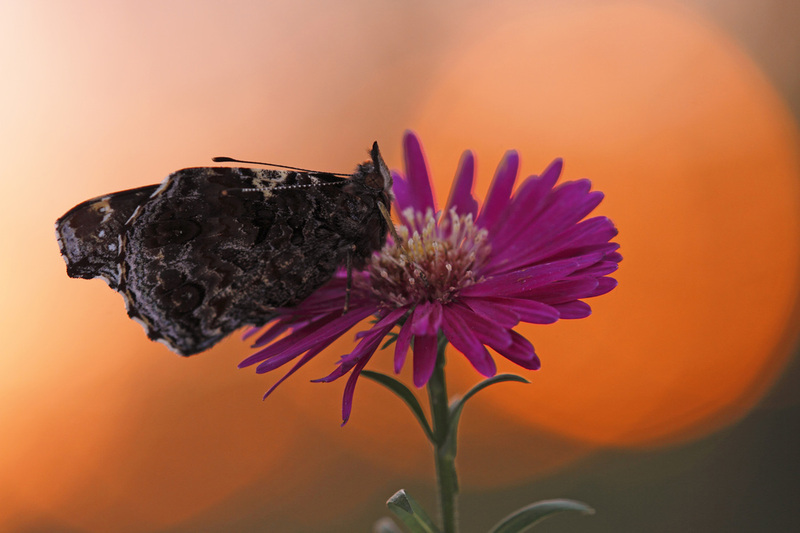 ​Since that day I learned a lot about butterflies and photographing them. In 1991 I bought my first Canon SLR camera and I was very proud about my photos and their quality. My first macro lens was a 180 mm 5.6 from Sigma. It was a light lens and very useful for a photographer like me running around without tripod. 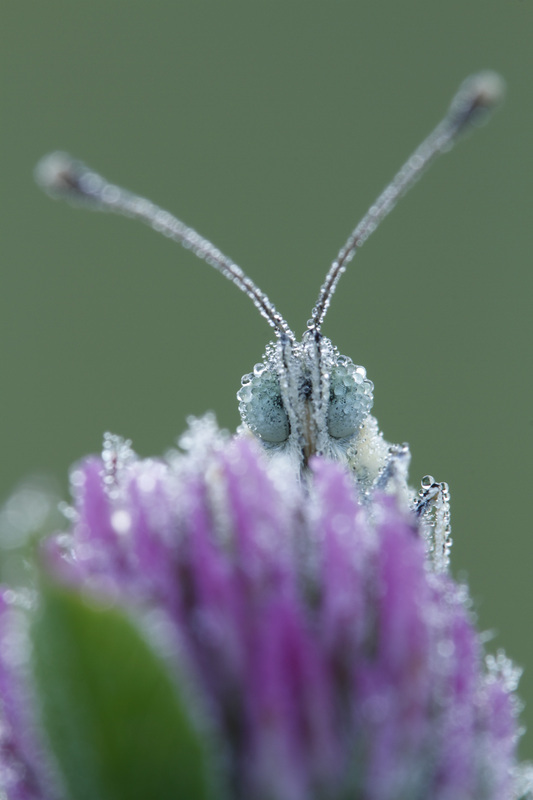 In 1993 I became member of the Dutch Butterfly Association and in their magazine I saw that there were much better butterfly photographers than I. I became my own and best criticizer and decided to change a few things. First I bought a tripod and secondly I switched to slides. 95% of all the slides I throw away immediately and from the 5% left, I only selected a few and the more I photographed the less I selected! I was very strict to myself. ​Today I still using a 180 mm macro lens (3.5 from Tamron) and always a tripod (Gitzo) and/or beanbag (actually filled with rice). 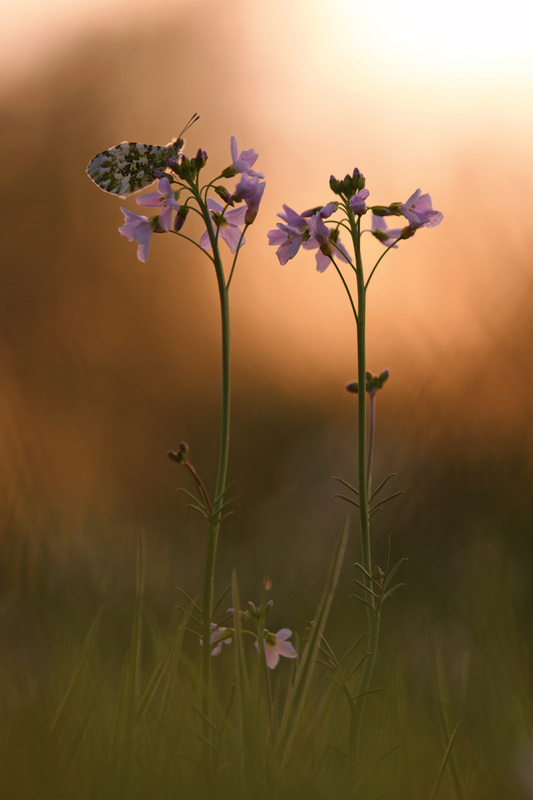 I prefer to photograph early in the morning or late in the evening when the light is soft and/or warm. A red sunrise/sunset is perfect. 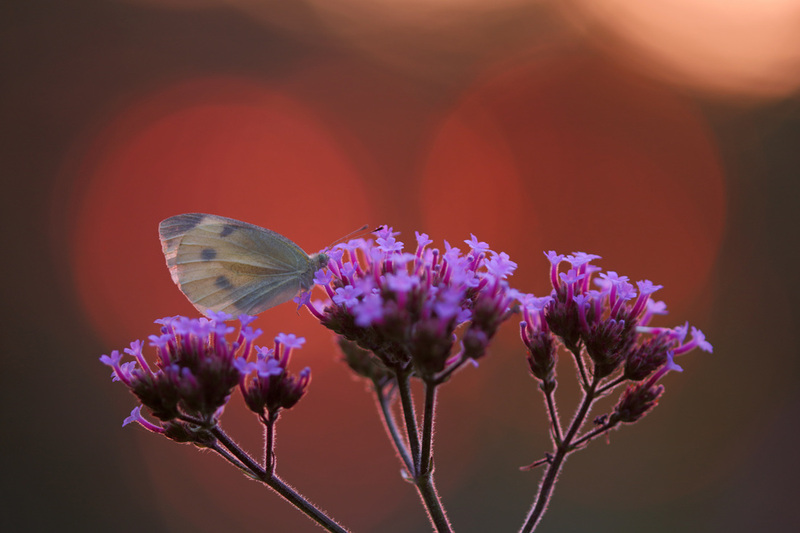 When I search for sleeping butterflies in the evening I always mark the place where I found a butterfly (in the morning it is very difficult to find him back and it's a waste of time as sun rises quickly). ​Less is more. One of my favorite shooting position is eye to eye with the subject. 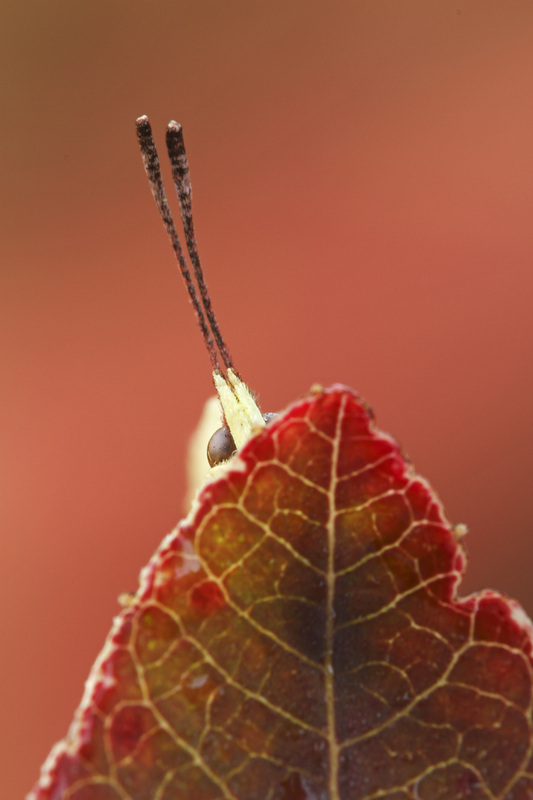 By only seeing the eyes (and antennae) the exact species will be a kind of secret. It's a real 'sport' to get up early and to try to catch the first sun (red/orange/soft/warm light) in a photo. 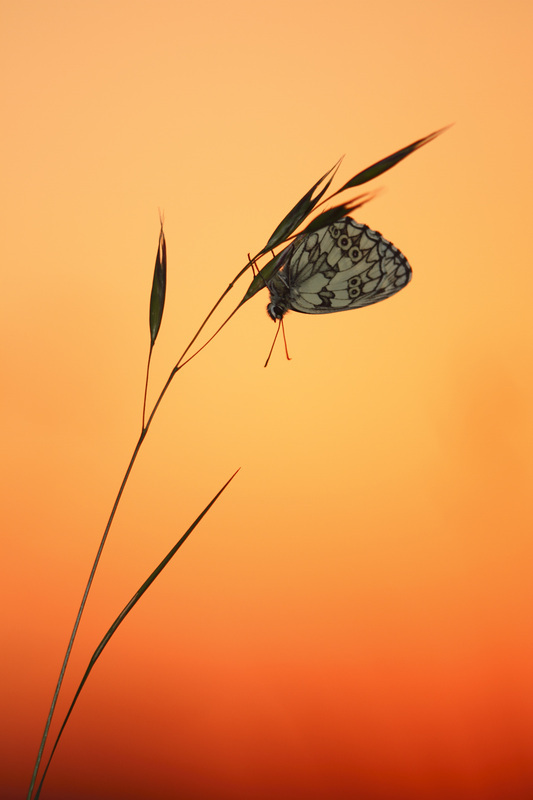 Unfortunately we do not have that much beautiful sunrises (and sunsets) during the butterfly season so I'm very happy when I find a resting butterfly in front of the rising sun. ​Next to the 180 mm lens I have a special macro lens from Canon, the MP-E 65 mm. This lens is a manual focus lens and capable of generating images up to five times the size of the subject. A tripod is generally required when using this lens. ​I always try to photograph with ISO 100 as I like to have noise-free images (I try to avoid ‘photoshopping’ or other software proceedings). Early in the morning this often leads to long exposure times and so it comes that the wind and I have a passionate relationship. 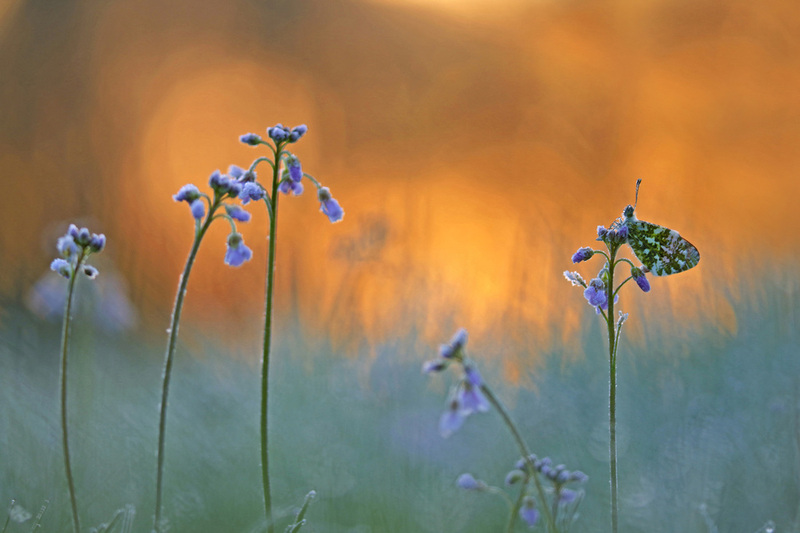 ​PATIENCE is the keyword for every nature photographer. I often gets dirty trousers without any photo! ​Often I'm asked which nature reserves I had visited but I had to admit that the nature reserve which I love the most is my own garden. Most of the photos on this page are taken in my garden or nearby. In my garden I created some wild corners with larval foodplants and planted bushes to attract butterflies. 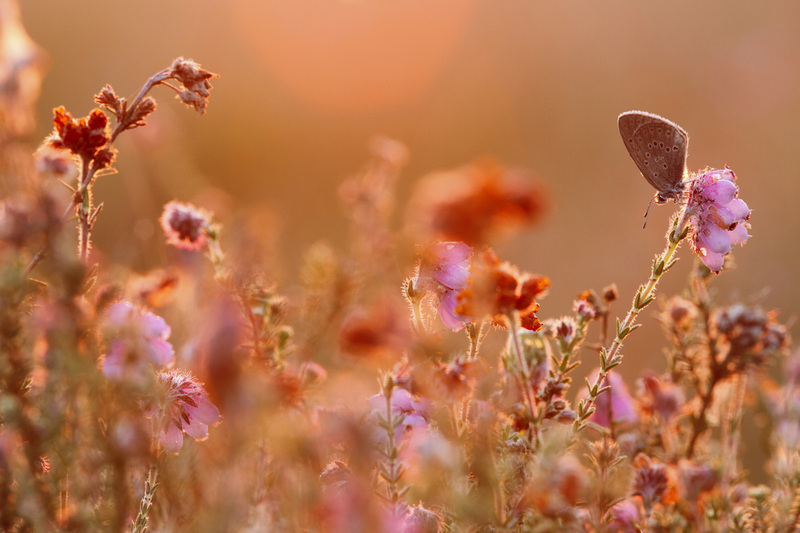 As in the Netherlands every square meter has its function and because some nature area's are very crowded, I also love to travel to France (see my page Butterflies in France) to enjoy the rough and neglected nature. Of course I'm very happy when I find a beautiful and/or rare species but I never choose my destination because of them. For me it's always a surprise what I will find. 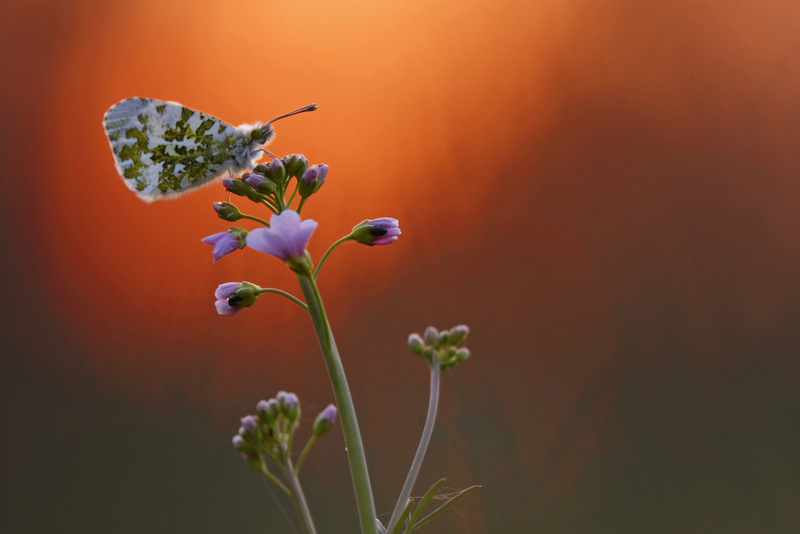 ​During the years I learned a lot about butterflies, their behaviour, their preferences for sleeping places or nectar plants and their larval foodplants and it helps me a lot to find adults, caterpillars, chrysalises or eggs. Finding & photographing butterflies always gives me a kind of excitement and pleasure and I hope that we will succeed in protecting them.